Before joining the world of entrepreneurship, Vasil equipped himself with formal education and practical experience in the fields of management and marketing. 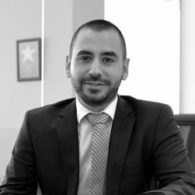 He served as a marketing manager in Eurolife Bulgaria and graduated the City University of Seattle with an exellent degree in General Management. While completing his degree, he met Viktor Viktorov and they both started MyMall.